In today's market report Restarting the late-cycle rally? (Canadian Insider Club members link), we reported that our Pharmaceuticals Indicator, a group which includes many cannabis-related stocks, had put in a bullish formation. The chart below provides some colour on that comment. Sentiment in this group acts a little differently from most industries and the broad market. While normally we concentrate on our 60-day indicators, for the cannabis-heavy Canadian pharmaceuticals Industry we watch the 30-day indicator. Indicator peaks tend to happen as a base in stock prices is being formed. As shown above, our 30-day Pharma Indicator peaked this month. That follows a bit of a head-fake in December. Could we be head-faked again? It is possible. However, the sharp nature of the peak in the indicator provides us with more confidence that momentum has returned to the group. As we mentioned this morning in the market report, insiders typically prefer buying into weakness, not strength. Consequently, when an indicator is falling sharply, it is signalling broad share price appreciation. 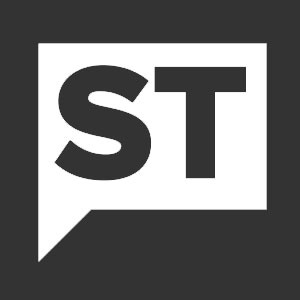 In this Monday's market comments, we also suggested the pharmaceuticals group is approaching short-term overbought conditions. 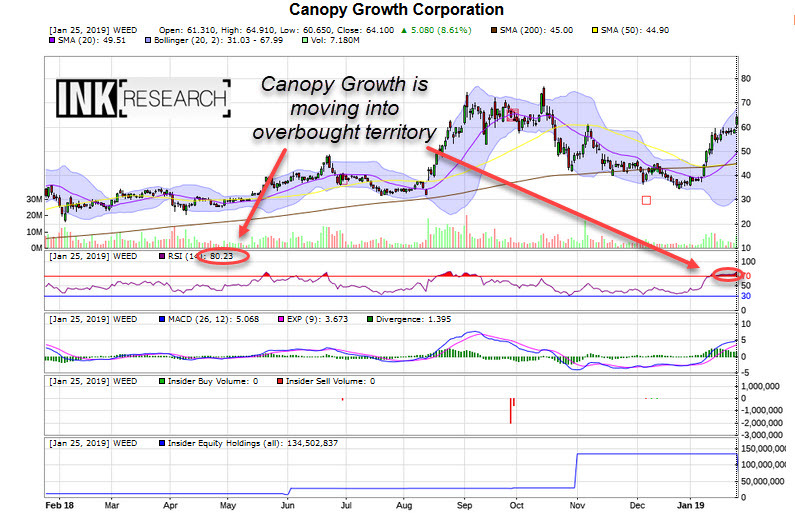 However, that is primarily being driven by Canopy Growth (Mixed; WEED). Many other stocks in the group are showing some signs of consolidation, including Supreme Cannabis (Mostly Sunny; FIRE) which we wrote about in today's morning report Insiders bet on more highs for Supreme Cannabis (Canadian Insider Club member's link). FIRE is the 11th highest INK Edge ranked stock in the Pharmaceuticals industry. The top 3 are listed below. The full top-10 list of INK Edge ranked pharmaceuticals stocks is available in the original post of this article which first appeared on INKResearch.com. Join the Canadian Insider Club to get access to key INK Research PDF reports and have them delivered to your inbox. 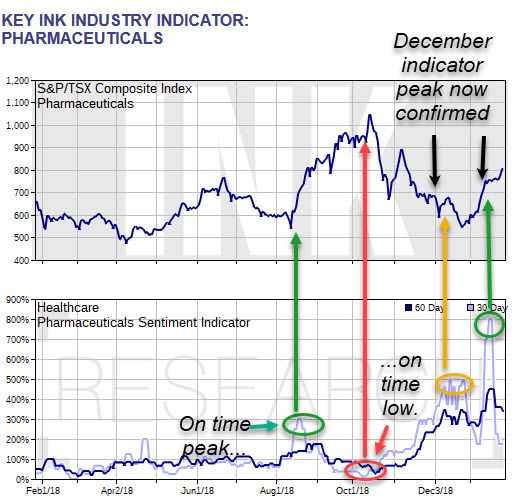 Does this indicator hold a bullish hint for INK Canadian Insider Index?